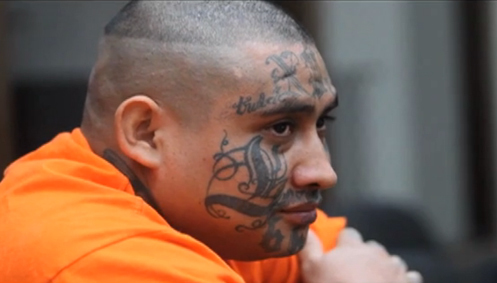 This first film is an overview of the gang-related violence that has wracked this Central American nation. To watch “The Gangs” on Vimeo, click https://vimeo.com/62125980. This was a tricky assignment, and proof once again how the technology we use today enables us to work effectively in difficult (read “dangerous”) situations. I took two cameras to shoot the three films. A Canon HDSLR and a Panasonic hand-held camcorder. For interviews and in areas where robbery (I hoped) was less of an issue, I used the larger, more intrusive camcorder. In more sketchy situations, I used the HDSLR. Even though its sound capabilities are far less than those of the camcorder with its two XLR inputs for directional and wireless mics, the Canon does fine if you know how to use it. I hope you enjoy the films. 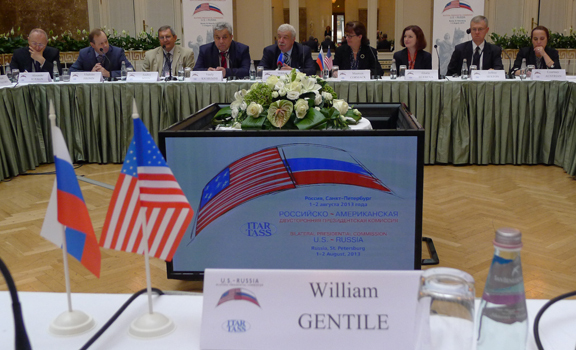 ST. PETERSBURG, Russia, 1 August 2013 – This is the opening session of the 4th meeting of the U.S.-Russia Bilateral Presidential Commission (BPC) Sub-Group on Mass Media, which took place in St. Petersburg, Russia. During two days of meetings, we discussed citizen journalism, journalism education and training, and media coverage/perceptions of Russia and the United States. Past U.S. delegates have hailed from prominent media organizations, academia, and journalism non-governmental organizations. Elizabeth Ballantine has been a director of the McClatchy Company since March 1998. Ms. Ballantine was a director of Cowles Media Company, a position she had held since 1993. Since 1999, Ms. Ballantine has been president of EBA Associates, a consulting firm, and an Adjunct Professor of Russian history at The George Washington University. From 1993 to 1999, she was an attorney in the Washington, D.C. law firm of Dickstein, Shapiro, Morin and Oshinsky LLP. From 1990 until 1993, she worked as a private consultant advising clients on international business investments. Ms. Ballentine sits on the Board of Directors of the International Center for Journalists (ICFJ). Joyce Barnathan is the President of the International Center for Journalists, a non-profit organization that advances quality journalism in the digital era. She is also on the Steering Committee of the Global Forum for Media Development, a network of 500 media assistance organizations that support the development of independent media. Previously, Barnathan served as the executive editor, Global Franchise, for BusinessWeek. Charles Bierbauer has been dean of the College of Mass Communications and Information Studies, University of South Carolina, since it was created in 2002. From 1981-2001, Bierbauer was a correspondent for CNN in Washington, and during the years of 1977 through 1981, he was an overseas correspondent for ABC News, first as Moscow Bureau Chief and later as the Bonn Bureau chief. Bierbauer worked in Vienna, Bonn, London and Philadelphia for Westinghouse Broadcasting, and was a free-lance reporter in Belgrade, Yugoslavia, in 1968-69 while on an Edward R. Murrow Fellowship. Scott Brauer is a photojournalist whose clients and publications include The New York Times, Fader magazine, the Wall Street Journal, Time Asia, That’s Shanghai, Epsilon (Greece), Vision magazine (China), Lufthansa, Bosch, Amity Foundation, Pfrang Association, Colorlines, World Magazine, Map Magazine (China), AM New York, and XAOC magazine. Brauer was a participant in the ICFJ’s U.S.-Russia Journalist Exchange Program in 2012, during which time he worked at the ITAR-TASS Photo Agency. He worked for daily newspapers in suburban Chicago, and Flint, Michigan and moved to China in 2007. He graduated with honors from the University of Washington in 2005 with dual degrees in philosophy and Russian literature and language. Barbara Cochran is the Curtis B. Hurley Chair in Public Affairs Journalism with the Missouri School of Journalism. Cochran is based in the School’s bureau in Washington, D.C., where she engages in programs of research, consulting and training aimed at improving the practice of journalism, working with the Committee of Concerned Journalists, also located in Washington, and the Donald W. Reynolds Journalism Institute. Her career as a news executive includes top jobs in the broadcast, print and non-profit worlds. Cochran served for 12 years as president of the Radio Television Digital News Association, the world’s largest organization serving the electronic news profession. John Cochran joined ABC News in January 1994 as chief Capitol Hill correspondent, where he reported on the historic change of leadership as Republicans took control of the House and Senate for the first time in four decades. Cochran joined ABC News from NBC, where he spent 21 years as a correspondent in Washington and overseas. For five of those years (1988-1993) he was NBC’s chief correspondent at the White House. Before covering the White House, he was chief diplomatic correspondent, reporting on Middle East peace negotiations and efforts to end the nuclear arms race between Moscow and Washington. Previously, he was based in London as senior correspondent, reporting from five continents. Gary Kebbel has left his post as dean of the College of Journalism and Mass Communications at the University of Nebraska-Lincoln to work with faculty and students to create a multi-campus Center for Mobile Media. Kebbel served as dean at the College of Journalism and Mass Communications at the University of Nebraska-Lincoln for two years. Before coming to UNL he was the journalism program director at the John S. and James L. Knight Foundation in Miami, Florida.